Posted on December 11, 2014 - Get free updates of new posts here. It has been a long time since ive actually sketched on a pad of paper a wireframe or prototype and to say im thankful would be an understatement. A wireframe or prototype is essentially an outline of a website, landing page, app or other user interface such as software. The wireframe gives designers and developers a very clear guide on exactly how you want something laid out and gives you time to think about and plan the user experience elements of a design. 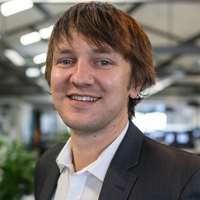 This is vital if you want to maximise your conversion rates and user satisfaction. 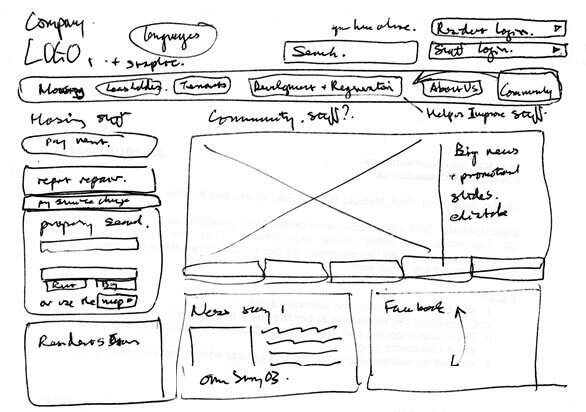 It’s safe to say the designers and developers I work with have been thrilled with my transition to software and it has also saved me time, frustration and embarrassment at presenting poorly sketched wireframes. There are lots of different software options for wireframing with the most advanced and popular on the market being Axure (US$289). My favourite and recommended option for web designers and internet marketers however is Balsamiq which I use every day, and which comes with the extremely attractive pricing of just US$79 on PC or Mac (it’s worth it). Simplicity – far easier than Photoshop and without the formatting glitches of MS Word. 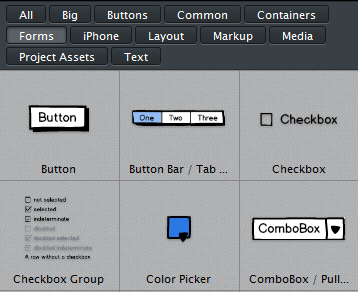 Balsamiq’s simplicity and drag & drop functionality will leave you with more time to work on getting the design right. Built In Assets – need an iPhone layout, a YouTube video placeholder or a graph? Simply drag and drop the pre-built asset, icons or components onto your wireframe and you’re done. 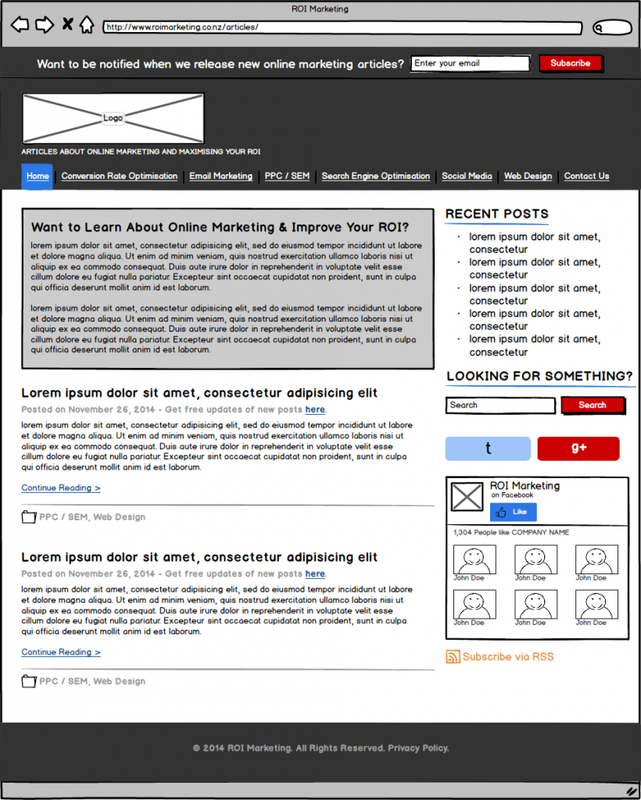 Sharing & Saving – having a collection of Wireframing assets makes it possible to produce high quality wireframes fast. You can save your own assets for reusing later, use your team’s assets or even download community contributed assets here. Copy & Paste – if you have a standard style or format you use or have proven techniques through split testing you will find yourself repeatedly doing the same thing with wireframes. With the easy to use copy and paste functionality you can copy items or groups from an old wireframe to a new one – the more you use Balasamiq, the bigger this library will get. Easy Exporting – clients and designers like things in different formats and giving them the right one can save a lot of time – wireframes can be exported in XML or PDF format or a wide range of other formats. The Documentation – it can be hard to pick up a new software solution and learn it fast enough that you don’t get tired of it. Luckily Balsamiq offer a large intuitive guide to getting started and even a free UX Apprentice course to help you learn the basic process. It is important to note this is not a paid review and I never use affiliate links – I just like finding great products that work well, save me time / money and improve my online marketing skills and this is one of them. Balsamiq offer a free trial so you can check it out for yourself here.